Happy Friday! How are your Christmas preparations coming along? Can you believe it’s less than 2 weeks away? This week, I’ve been shopping and wrapping gifts like crazy. After having the flu last Christmas, I wanted to finish up early in order to stay away from germy places like the mall from here on out. Something else I decided after missing out on Christmas last year was to slow down and take moments of pause throughout December. Sometimes I get too focused on the tasks at hand and miss out on the simple pleasures of the season. Yes, it can be difficult. Guilt can set in. You may feel like you’re letting your family down if you don’t bake a bunch of cookies or decorate the entire house. Or, you could possibly open your mailbox and find a bunch of cards when you haven’t even started yours. Dismay isn’t the reaction your friends were looking for. To me, all of those things are simply icing on the Christmas cake. They aren’t the true essence of the season. Perhaps it’s having a son away at college that’s given me a different perspective. The gratitude I have for the people and experiences in my life has grown tremendously over the past few years. Taking an afternoon off to be with a friend who’s going through a difficult time is much more important than making yet another ornament for our tree. Yes, I do enjoy sharing those types of projects with you, but more isn’t always better. Perhaps driving to the coffee shop would save me time. And then while I’m out I could stop by Michaels and pick up that ribbon I need want for the tree. Or, maybe, I could walk instead and get some fresh air and enjoy the decorations throughout our neighbourhood. 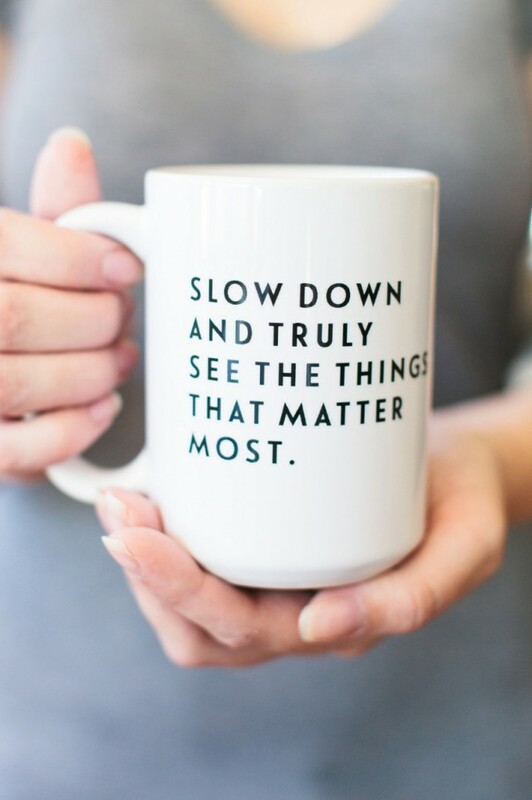 Sometimes, it’s just remembering to slow down, breathe and enjoy. That’s when the true magic happens. Next week, I’ll be sharing more Christmas projects with you. Decorating, wrapping, baking… these are all activities I enjoy. I encourage you to do what feels right for you. With that being said, I have this week’s holiday countdown… (if you feel so inclined). Did you get your tasks completed from week seven? I cleared off my storage/craft room table to set up a gift wrapping station. It makes it so much easier than hauling everything upstairs. Besides, we gave our dining table and chairs to our son (he’s away at college), so I don’t have a proper work space upstairs. Not very convenient, especially this time of year! To get your Week Eight homework and free printable, simply click on the image below (note: it’s a post I put together last year but the tasks are still the same). Remember to only take on the tasks you wish. The Holiday Countdown is designed to make you less stressed this time of year, not more! Next week, I’ll be back with the finale. 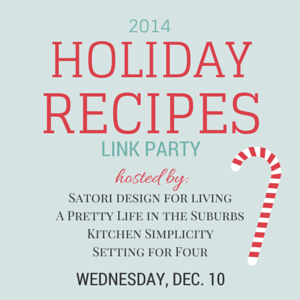 Have you shared your seasonal recipes at our link party yet? I’ve been pinning my favourites all week long and will be featuring them in a post on Wednesday. It’s a great place to find some new recipes to try as well!